The Rangen : a unique terroir ! 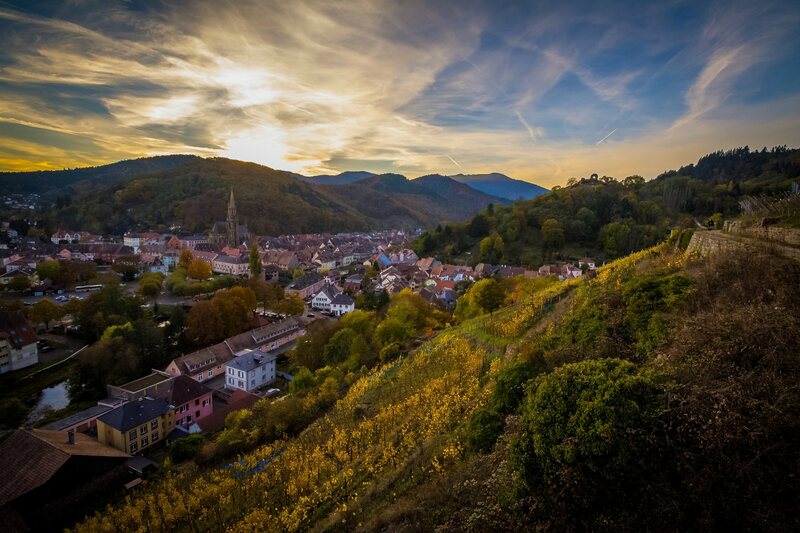 The Rangen vineyard in Thann is the southernmost in Alsace and the only one in the region to be classified "Grand Cru" (Great Vintage) in its entirety (since 1983). Its South-facing hillsides (350 to 450 m), cover a surface area of 22 hectares with slopes of up to 45°. 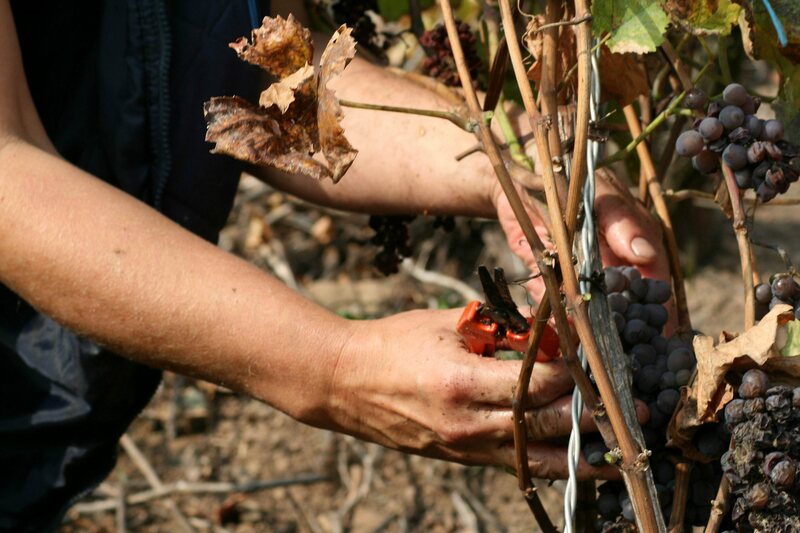 It also owes its reputation to its volcanic soil and the Thur river nearby, which supplies it with sufficient moisture for the grapes to mature. 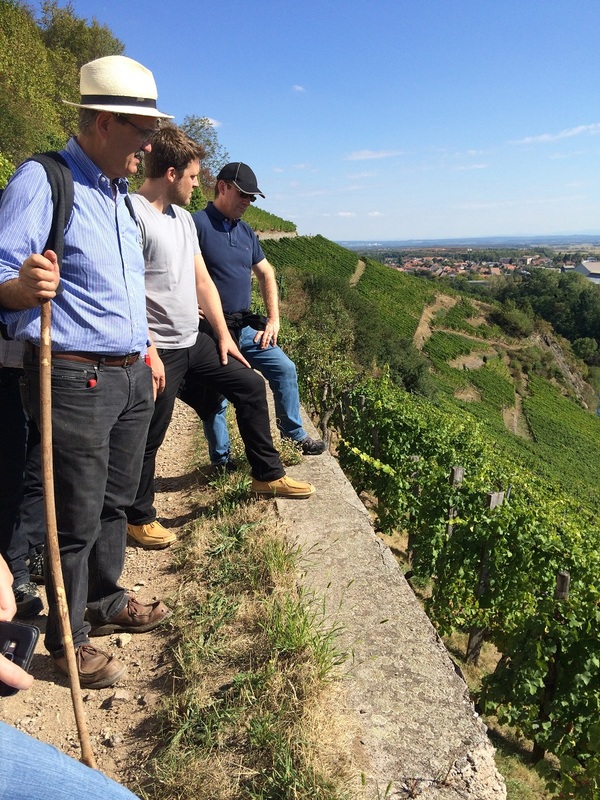 This vineyard produces 3 exceptional grapes: Riesling, Pinot Gris and Gewürtztraminer. A wine path marked out with 19 information boards will make you discover this exceptional vineyard.